Blumhardt is one of the most educated men you'll ever find working a tasting room. 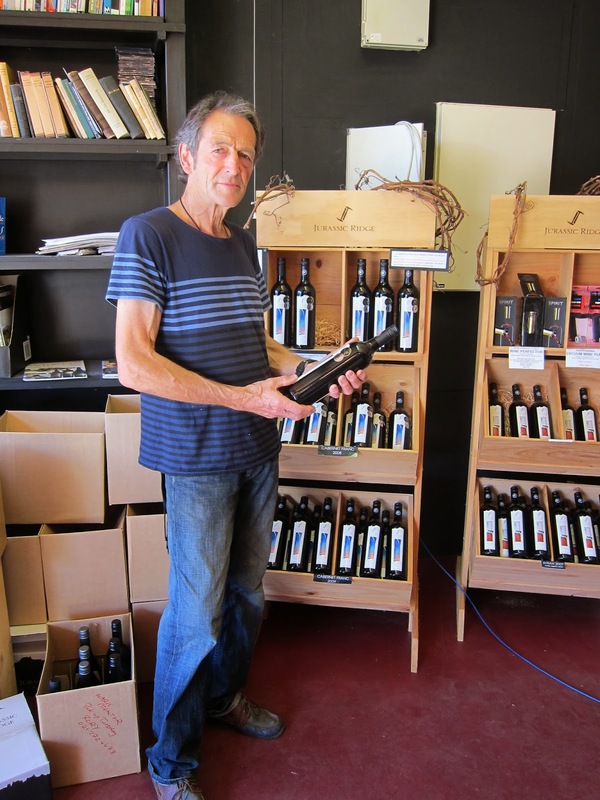 He was a geologist, which is why he ended up planting his vineyard on Waiheke Island in New Zealand. Then he became a neurologist at Oxford University. At a conference on the Amalfi Coast he fell in love with a fellow neurologist from Italy. She's still practicing, in Auckland now, perhaps in part because Blumhardt retired to become a winemaker. "I wanted to do this because I saw it as something I could do that would make my wife happy because she's Italian, and she'd be happy living in New Zealand," he said. "The first thing I planted was olive trees. We have an olive press. Then I planted vines. Lots of families in Italy have a few backyard grapevines. She thought I'd have two rows, not 700." All this and cultured yeast too! The property he bought was a farm, no grapevines planted at the time, on the side of Waiheke Island closest to Auckland. It's a warm site, with hills that expose the grapes to the sun, which is why he buys his Sauvignon Blanc grapes from the cooler Marlborough region. Waiheke Island only has about 35 years of grapegrowing history, and it's clear from visiting different wineries that nobody's quite sure yet what it will be best at. When Blumhardt bought property there, Bordeaux varieties were in vogue, but he put in a weather station and spent 10 years studying his site before deciding what to plant. 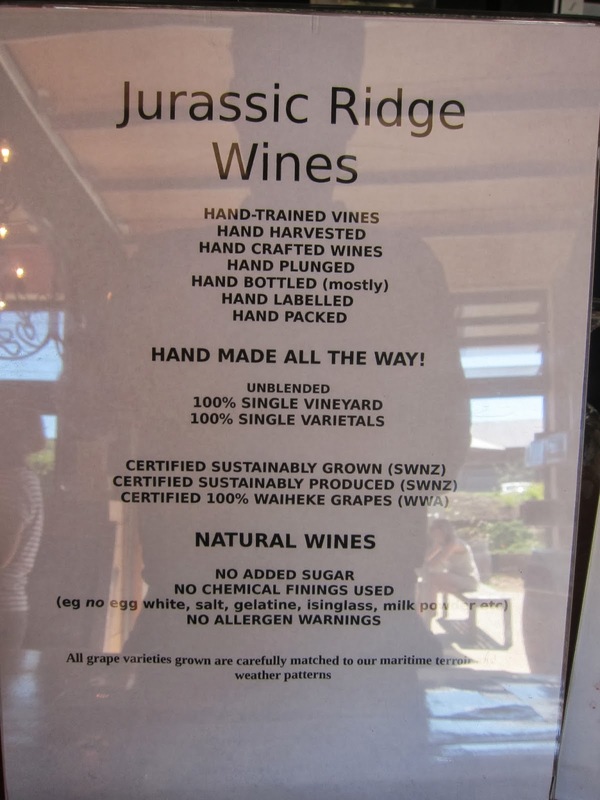 He made his own decisions about varieties, but he now has the advice of globetrotting viticultural consultant Daniel Schuster, who walked in one day and announced that Jurassic Ridge makes the best wines on Waiheke Island and he wanted to pitch in. "I thought I knew my vineyard after 10 years, but Danny has just made subtle tweaks that make a big difference," Blumhardt says. Blumhardt was the first to introduce Montepulciano to the island, and now it's a popular planting for the other two dozen wineries. Jurassic Ridge Montepulciano 2009 ($48 US) is unlike his other wines, with its rich, fruit-forward character, but it's not hard to see why it's a crowd-pleaser. While the Montepulciano tastes like a wine from warm sunny climes, my favorite of his wines, the Jurassic Ridge Waiheke Island Syrah 2007 ($32 US), tastes much more cool climate. It's northern Rhone-like with its peppery and floral notes, and delightful mouthfeel, lighter in body but with tannins that politely but assuredly announce their presence. I wasn't as enamored of his Cabernet Franc, which has nice freshness but not so much varietal character. 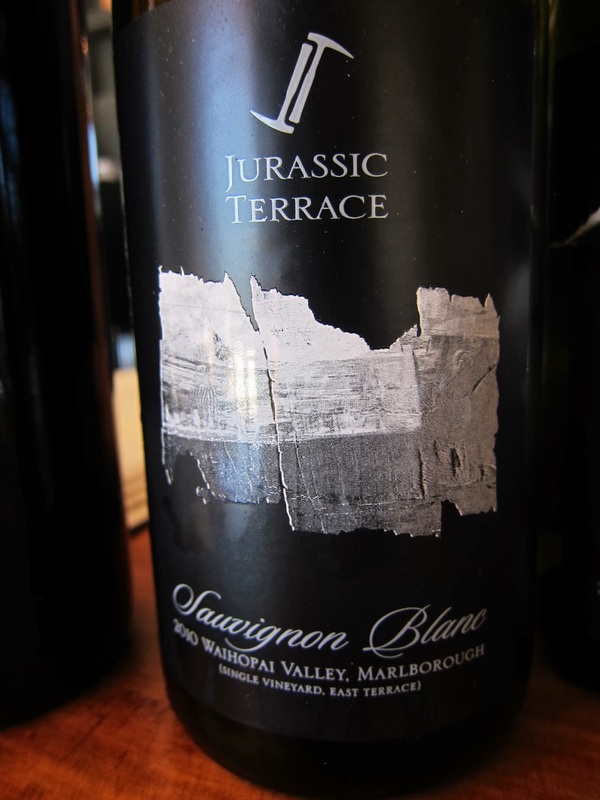 The Jurassic Terrace Marlborough Sauvignon Blanc 2010 ($17 US) is the most unusual, with a round mouthfeel and a finish that's all tertiary flavors: honeycomb, licorice. He ages it in stainless steel but stirs the lees every week; it's not like any other New Zealand Sauvignon Blanc on the market, and while he compares it to Sancerre, it's not really like that either. Blumhardt makes just 3500 cases a year now, but he says he ships worldwide, mostly to people who have visited his winery. It's an expensive proposition to the US, at $275 per case in shipping alone, but you can click here to order. Or you can visit Waiheke Island as a day trip from Auckland; that's how I found my way there. If the bright summer sun gives you a headache, you're in the right place.